When I think of any televised sporting event, I immediately think of food. Why? Because I’m not that interested in any particular game, but I have a food correlation for each of them. For example, baseball goes with beer and hotdogs. Hockey goes with beer and hot dogs. Basketball, I think beer and hot dogs. But football goes with beer and hot wings. Being from the Philly area, I should throw a soft pretzel in there too. With the Super Bowl fast approaching and lots of party planning upon us, I think football and hot wings are a perfect pair. I was looking for a new twist to traditional buffalo wings and concocted these sticky balsamic wings. Although most wing recipes call for deep-frying, I’ve found that baking them in the oven works nicely and eliminates the fat laden calories of the deep-fryer. Whether you’re a Giants fan or rooting for the Patriots, making hot wings a part of your buffet will spread happiness, even if the game isn’t going your way. I’ve whipped-up wings two ways below. 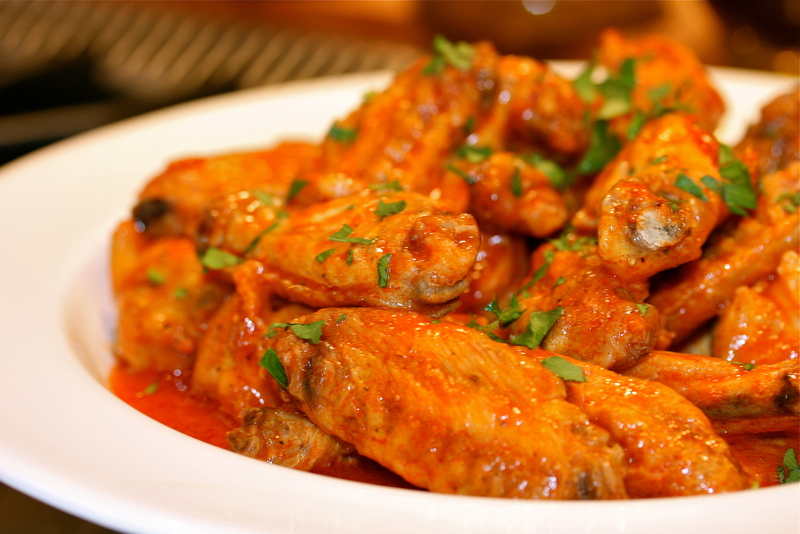 If you’re not looking to be creative with the sticky wings, just make the baked Buffalo wings and keep with tradition. Rinse the chicken, pat dry and set aside. In a medium bowl, combine all the remaining ingredients from above EXCEPT the green chilies and sesame seeds. Whisk together, making sure the brown sugar and honey loosens and properly blends through the marinade. You can make this marinade the day before and refrigerate, but do not combine with the wings until the day you’re making them. Put the wings in a large Ziploc bag and pour over half the marinade. Seal the bag and shake it around to make sure the wings are coated. 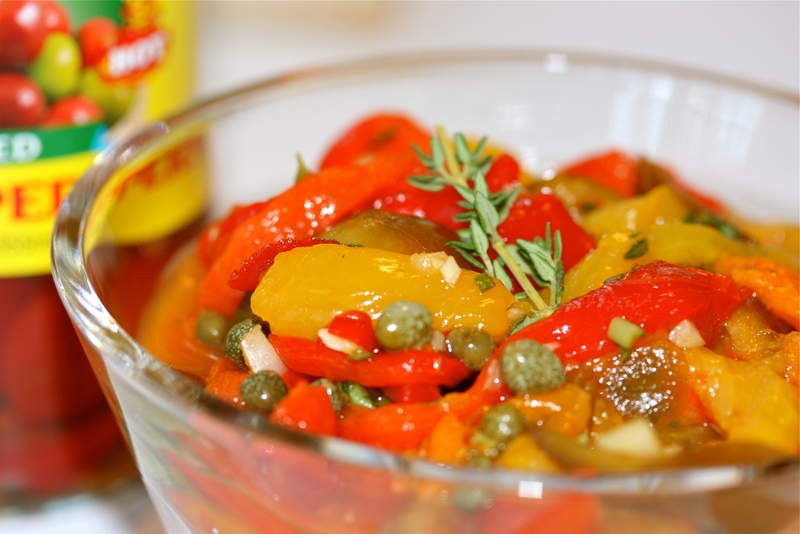 Place in the refrigerator for about 4 hours, turning the bag periodically. Pour the remaining half of the marinade into a small saucepan and bring to a low simmer for about 20 minutes, stirring frequently, until it reduces by about half and thickens. Remove from the heat, allow to cool and store covered in the refrigerator until it’s time to bake the wings. Preheat the oven to 450 degrees. Line a sheet pan(s) with aluminum foil (to help with clean-up). Remove the wings from the marinade using tongs, and lay them in a single layer on the sheet pan. Discard the marinade in the Ziploc. Place in the oven for about 40 minutes, basting with the reduced marinade a total of 3 times (every 12 minutes or so), until the wings become a dark golden color all over. Place on a platter and sprinkle the sliced green chilies and sesame seeds over the top. Enjoy! * When I say wingette, I’m referring to the individual wings when they are separated into two pieces. Officially they’re called the drumettes and wingettes… who knew? Preheat the oven to 450 degrees. Place the wings in a large bowl. Drizzle over the olive oil, salt and pepper. Sprinkle the Tabasco, as much as you’d like, or omit if you prefer. Toss the wings in the bowl, ensuring they are all evenly coated. Line a sheet pan with aluminum foil (for easy clean-up). Lay the wings in a single layer and bake in the oven for about 40 minutes or until they look golden and crisp. While the wings are baking, melt the butter in a small saucepan. Add the hot sauce and stir to combine. If you like your wings super spicy, you can add additional Tabasco to this sauce mixture. Here’s my secret… if you have any brown paper bags from the grocery store, cut a couple open so they lay flat on your counter. When the wings are done, remove them from the sheet pan using tongs and lay them on the brown paper bags to absorb any grease (only do this for the traditional buffalo wings, not the sticky wings). Transfer them to a large bowl and pour over the hot sauce mixture. Toss to combine. Serve with blue cheese dressing. 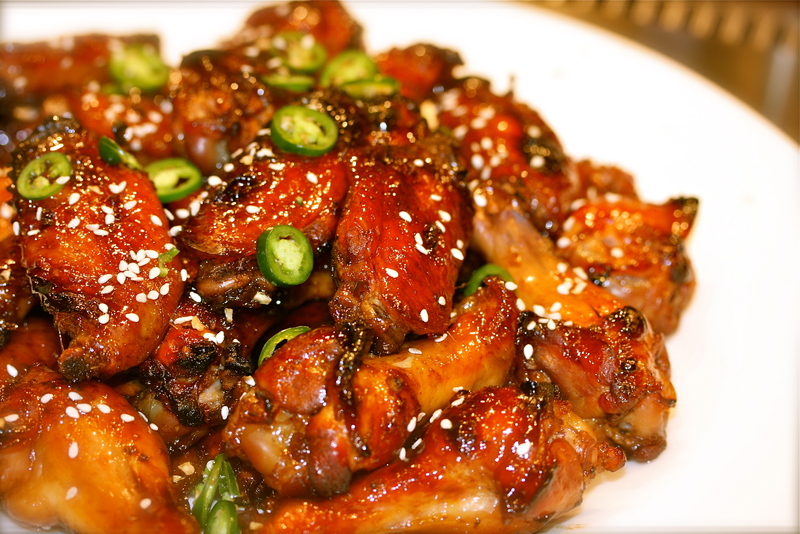 * Since both kinds of wings roast at 450 degrees, you can bake them at the same time. If you have multiple trays in the oven, I suggest switching them around to help them cook evenly.